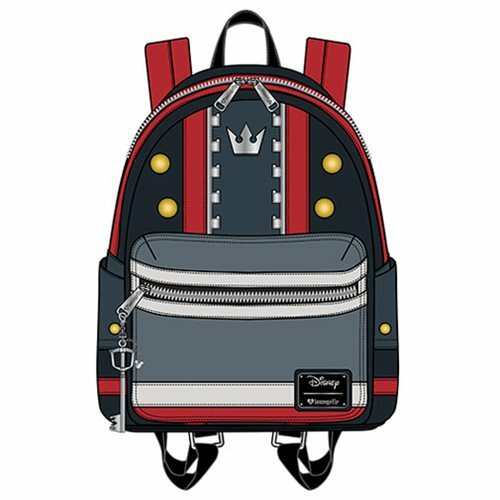 Shopping for Kingdom Hearts Backpacks? Bring Disney magic on every adventure! This Kingdom Hearts 3 Sora Mini Backpack is made of faux leather, with applique details. It measures approximately 9-inches x 10-inches x 4 1/2-inches.